Join us for this awesome leather class. Take your leather jewelry to another level with this Fringe Necklace. 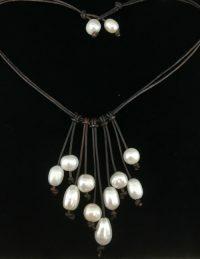 You can chose from a variety of pearls or gemstones. 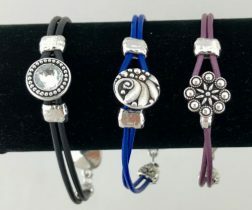 We have many colors of leather to compliment your bead selection. You will also receive a copy of the instructions with you class fee. “O” what a fun lariat to make using a bicycle stitch. You will want one in every color! 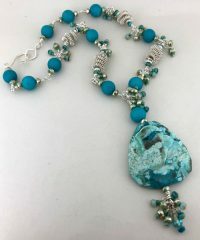 It is so light weight and can be worn in many different ways. You will receive a copy of the instructions with your class fee. 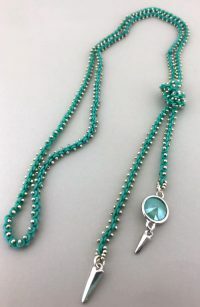 Enhance your wire working skills by learning to make wire coils on a mandrel, then turn them into beads to accent gemstones and glass beads. Skill level: Advanced beginner to intermediate. 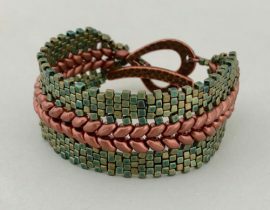 In this class you will make a wire work bracelet that captures and flows around the beads. You will also build the loop and hook clasp for a truly unique design. All levels welcome. The class fee includes a copy of the instructions. What an awesome bracelet! In this class you will learn how to combine the herringbone and peyote stitches. It is a great way to use duos and cubes. 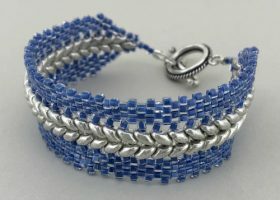 There are many wonderful colors to use in this bracelet. You will also receive a copy of the instructions with your class fee. Join us in class to make a fun leather braided necklace and a bonus pair of matching earrings. This class is great for beginners. You will also receive a copy of the instructions. 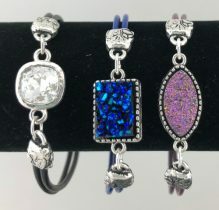 In this class you will learn the basics of designing a bracelet and how to professionally finish the ends using the proper tools. With the class fee you will receive a copy of the instructions. A lot of you have been asking for a class to make these popular pendants. We’ve heard you and Lisa has made it a reality! 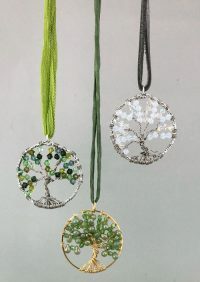 Come and learn how easy it is to make these “Tree of Life” pendants yourself. 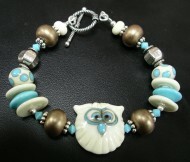 You’ll be able to choose your favorite color beads with our large selection to make it unique. 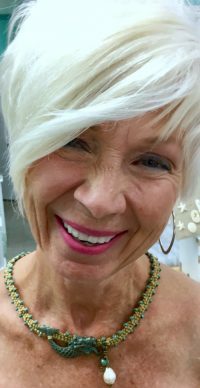 Lisa will be available to help you with color combinations and choices that work best for this design. These are so simple and the combinations are endless. You won’t be able to make just one! Drop by anytime between 10:30 and 4:00 to create a hip leather bracelet with a glitzy focal. The components to make this bracelet are exciting and fun to create with. It is a very easy bracelet to make! You will want to make more than one!! Instruction is free and you purchase your supplies when you come in. 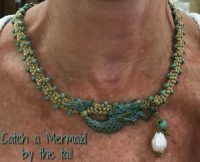 To catch a Mermaid, take some s-lon, a kumihimo disk and seed beads for the bait. 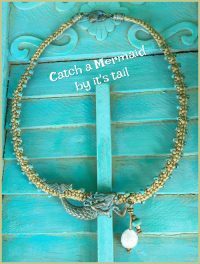 Braid it all together to make this magical necklace.